Despite the technological advancements made in the 15 years since its cinematic predecessor, Rings still manages to feel incredibly dated in comparison. The bland characters and lazy writing are reminiscent of the dark ages of horror during the 1990s. What once was a fresh new take on a J-horror classic has degraded into a cacophony of boredom and hamstrung ideas seemingly grabbed at random. It’s unsure as to whether or not it is a sequel to the 2002 remake or a reboot of the mythology. Since Rings cannot decide, the story is reduced to establishing a background to Samara solved by two leads who are as interesting as pebbles you find on the side of the road. Following an unnecessary prologue, the film manages to provide a solid hook. Professor Gabriel (Johnny Galecki) stumbles upon an old VHS player with the killer videotape inside. He uses this tape as the basis for a secret student organization designed to study the possibility of life after death. In reality, this perpetuates an endless cycle of violence so Gabriel can continuously pass on a death sentence. This new premise is a logical step to provide a fresh new take on The Ring while also exposing the potential to explore some ethological discussions about the selfishness of human nature. Instead, one of his students and his girlfriend set off to uncover the mystery of Samara and the tape. It’s in that moment of self-realization where the film becomes a stagnant bore. The fact that there are three credited screenwriters helps to explain the hodgepodge of ideas and tonal shifts scattered throughout the film. Because he fails at establishing any dread, Director F. Javier Gutierrez substitutes slow burn suspense with amped-up sound effects and fake-out hallucinations. None of these attempts at scares feel earned and instead reek of desperation to counteract the sluggish pacing. The mysteries surrounding Samara’s backstory are filled with plot holes, abandoned subplots and additional characters who disappear with no explanation. As an example, it’s revealed that Samara’s body has been moved multiple times due to tedious reasons. There was barely any logic behind it; it serves as an excuse to get to where the third act needs to occur. When the film finally reaches the third act, the mimicry becomes a reprehensible knockoff of several recent sub-genres. Given the characters and the setting, there’s about five-ten minutes in which it flat out becomes a recent horror movie. It’s particularly insulting and regardless of timing, a petty attempt to cash in on a big hit. Rings move to February could partially be attributed to this. The similarities to other products don’t stop there. There’s a reveal regarding a female prisoner that is all too reminiscent of recent films such as 10 Cloverfield Lane and Split. This subplot would have worked if further explained but it just felt like yet another storyline grabbed at random. 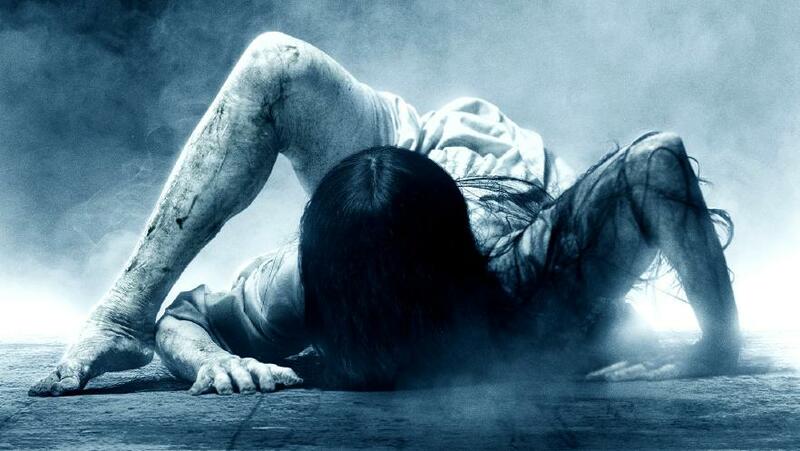 Rings suffers from two of the biggest problems that can be committed by a horror film. It both fails at providing effective scares and doesn’t possess enough confidence to stand on its own. Rather than emphasizing the dangers of technology, Rings warns of the worst case scenarios for unnecessary sequels. It borrows from the original without possessing a charismatic lead or characters worth investing in. Instead, it may cause you to yearn for Gore Verbinski’s remake, which still stands as a prime example of mixing influence with an inventive new spin.